These Yeomanettes participated in the Victory Loan drive in New York City on May 8, 1919. 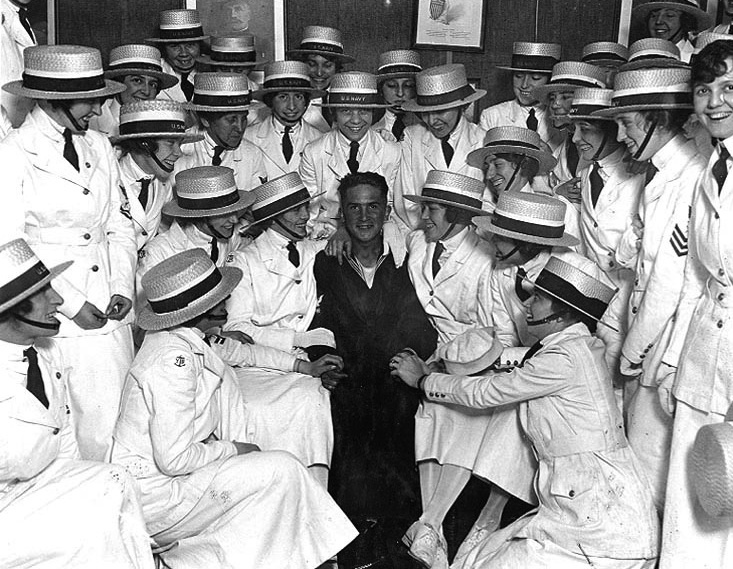 They are surrounding a sailor at an event sponsored by the League of Catholic Women at the Cardinal Farley Club, New York City. The Yeoman (F) at the front has a shoulder patch with an anchor and the initials “Y” and “B”. This photograph comes from the Naval History and Heritage Command.